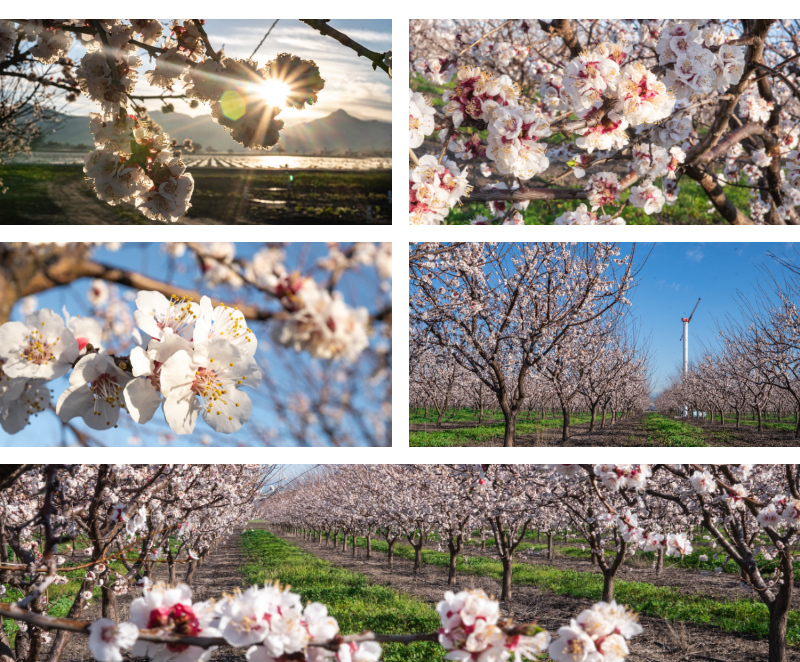 Each season in a Blenheim apricot orchard is distinguished by its own unique marks of beauty. With Spring comes a a time of new life, growth, and energy as light pink blossoms bloom vividly throughout the orchard. Spring has certainly left its mark on the Farm this week and to celebrate, we suggest a little spring shopping with our 15% off sale today and tomorrow (code SPRING15)! If you're local, come in and visit our store to hopefully catch a glimpse of the beautiful blossoms before they're gone. If you're not, not to worry! 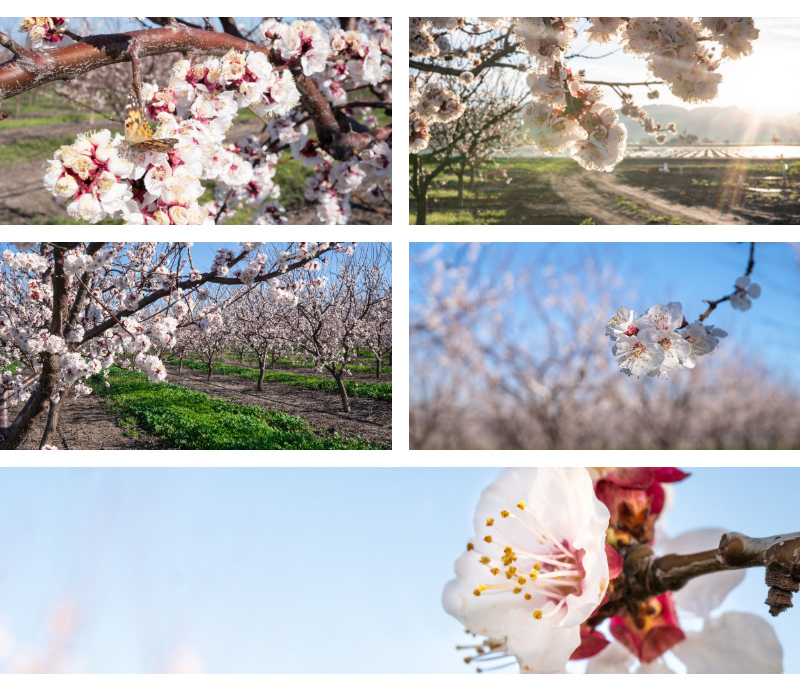 We've captured a few beautiful moments and blossom facts for you. Happy Spring! Each blossom from a Blenheim apricot tree boasts five light pink petals. The blossoms are edible, with a beautiful floral smell and a flavor that faintly resembles that of apricots. 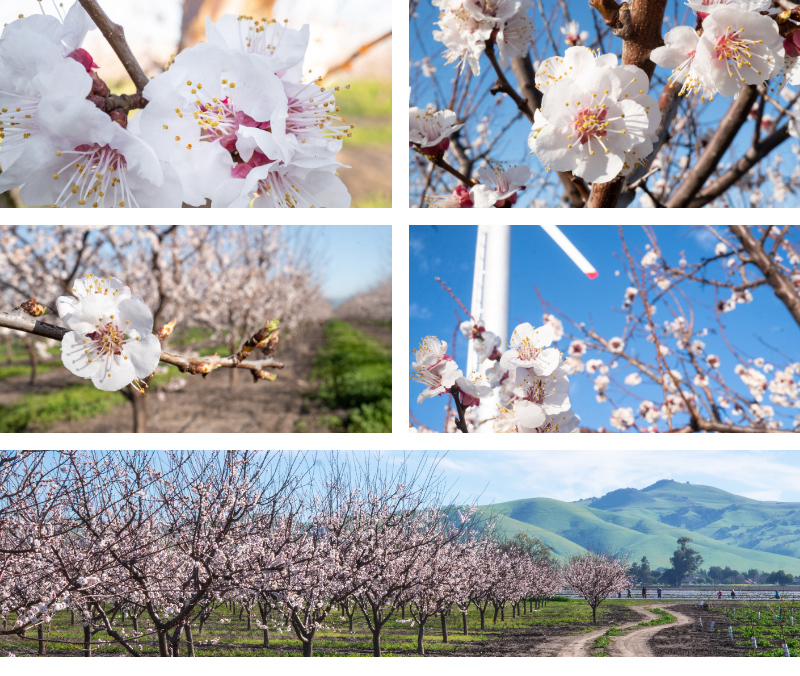 Over the next several months, these blossoms will go through a transformation process and eventually become delicious, juicy Blenheim apricots. Unlike many fruit trees, Apricot trees are self-fertile, meaning they can cross pollinate themselves.